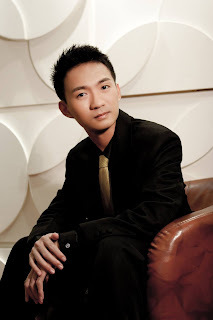 Chiu Yu Chen is regarded as one of the foremost young musicians of his native Taiwan. In fact, he is the first Taiwanese to graduate with full honours from the prestigious Gnessin Academy of Music, Moscow, under the tuition of Boris Lvov, Viktor Merzhanov, Maria Gambarian, and Irina Anastasieva. Apart from being a much sought-after recitalist and giving more 200 recitals, Chiu Yu Chen is also Artistic Director of numerous Festivals, most notably the Schubert 210th Anniversary (Finland, 2007), 90th Anniversary of Finnish Independence(2007), Tchaikovsky 115th Anniversary (Taiwan, 2008), Beethoven 240th Anniversary (2010, Finland,) Sibelius 150th anniversary (2015, Finland) and more. Chiu Yu Chen has also given numerous master classes in both the Far East and Europe. Both his solo recitals and performances with orchestras have earned him rave reviews from critics. Chiu Yu Chen is the first Taiwanese pianist performing in such prestige festival like Buxton Festival (2010, United Kingdom) Victoria International Arts Festival (Malta, 2016).